Enjoy the highlights of the Italian cuisine, encounter the works of the world's finest artisans and roam amongst historic ruins in Italy's picturesque capital. Rome wasn't built in a day, but you may get a feeling of this great place in 3 days. We offer a relaxed 3 days itinerary through Rome's top attractions. Get back in time and visit the ancient sights of Imperial Rome such as the Colosseum and the Roman Forums and explore the great churches, museums and gardens of the Vatican.This 3 days Rome itinerary is perfect for those who wish to see Rome at its best while enjoying a relaxed vacation and without a rush. Of course You'll get much more out of this fascinating metropolis if you enter into its laid-back rhythms. On the first day, we will do the "Caesar Shuffle" from the Colosseum to the Forum, then over Capitoline Hill to the Pantheon. After a siesta, join the locals strolling from Piazza del Popolo to the Spanish Steps. On the second day, see Vatican City (St. Peter's, climb the dome, tour the Vatican Museums). 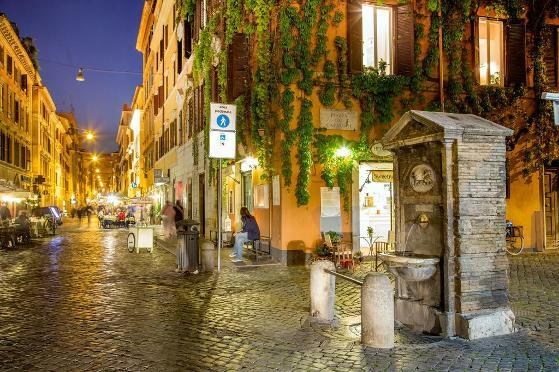 Have dinner near the atmospheric Campo de' Fiori or Trastevere and then walk to the Trevi Fountain and Spanish Steps. On the third day we suggest a visit to the Borghese Gallery and the Capitoline Museums. 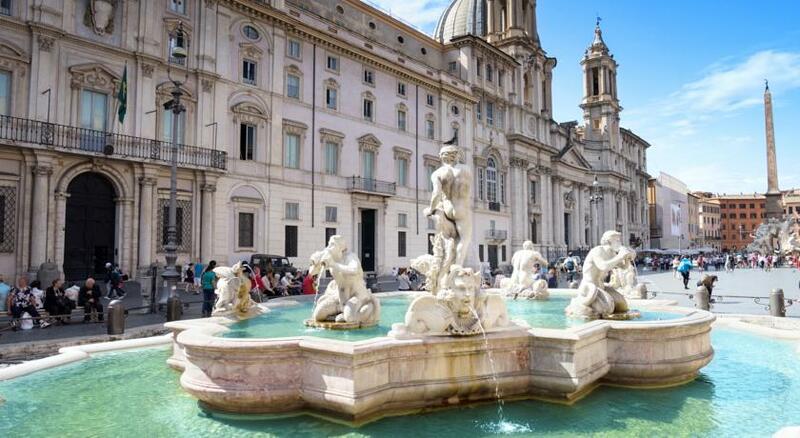 Gold (four star plus hotels like Hotel della Conciliazione in Saint Peter's or Martis Palace in piazza Navona) at 1290 Euros pp high season (May, June, July, August and September) 1190 Euros pp in mid season (March, April, October, November and December) and 950 Euros pp in low season (January and February). Platinum (five star extra luxury hotels like Fourtyseven or JK Place) at at 1,450 Euros pp high season (May, June, July, August and September) 1,350 Euros pp in mid season (March, April, October, November and December) and 990 Euros pp in low season (January and February). Extra Luxury: J.K. Place Rome at 1800 Euros pp high season (May, June, July, August and September) 1700 Euros pp in mid season (March, April, October, November and December). The price include three nights accomodation with breakfast, one dinner for two at Glass Hostaria in Trastevere (or Nino in via Borgognona or Bolognese in piazza del Popolo up to you, wine and prostitutesnot included) and two 3 hours private walking tours of Rome. 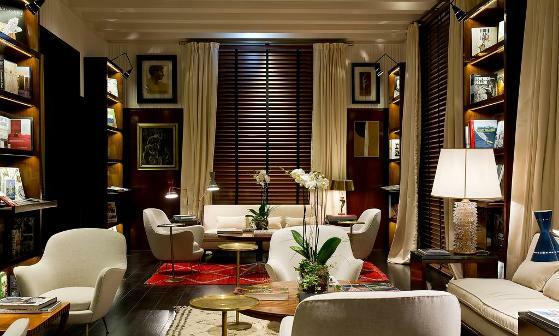 One of Italy’s classiest townhouse hotels, J.K. Place has been much imitated, but few of the copies match the warm, suave, elegant original. For once, the design – based on a discreet, quietly opulent Dolce Vita retro look – is as impressive in the bedrooms as it is in the downstairs communal areas. They derive much of their charm from the no-expenses-spared quality of the materials used, including antique fireplaces and original framed fashion-house sketches. It is five minutes’ walk from the Spanish Steps, and also well-placed for the Vatican and the northern reaches of the centro storico. This amazing hotel sits in the middle of Rome. The hotel offers guests comfortable rooms full of artistic expression and modern amenities. The hotel serves an American breakfast daily together with organic produce. In addition, guests can satisfy their appetite with delicious Mediterranean fare at the restaurant. The roof-garden Circus Bar is where patrons can take pleasure in a soothing drink and take-in the stunning views. 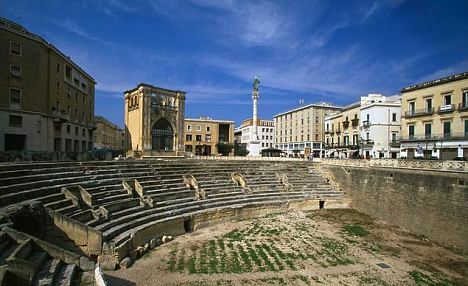 Near to the Fortyseven Hotel is Teatro Marcello. Approximately 5-minutes away is the Temple of Vesta and 150-metres away is the Circus Maximus. 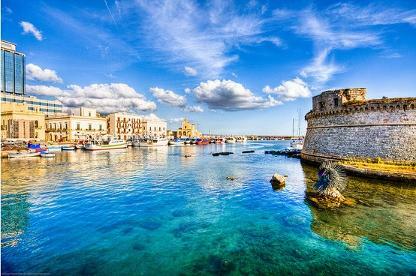 Spend three nights at amazing “Palazzo Personè” in central Lecce and enjoy a trip to Gallipoli and Nardò with a visit to a boutique winery where you will taste award winning organic wines, plus dinner for two from 475 Euros per person (double occupancy breakfast included). 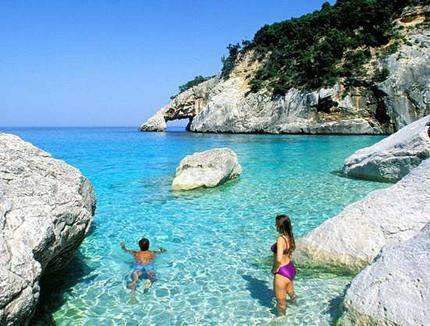 Magico Week end a Lecce. Tre notti a Palazzo Personè nel centro storico di Lecce ed una visita a Gallipoli e Nardò dove visiteremo una azienda vinicola di prestigio e degusteremo i loro fantastici vini biologici e poi una romantica cena per due. Da 475 Euro a persona ( in camera doppia o matrimoniale, con colazione inclusa). Spend two nights at amazing “Agriturismo Asciano” in the Ostuni countryside and enjoy a dinner for two as well as a trip to Alberobello and Cisternino with a visit to a boutique winery where you will taste award winning organic wines. From 360 Euros per person (double occupancy breakfast included). Rent two bikes for 50 Euros/day. Magico Week end ad Ostuni. Due notti all'agriturismo Asciano nella campagna Ostunese, una cena per due ed una visita ai borghi medievali di Cisternino ed Alberobello dove visiteremo una azienda vinicola di prestigio e degusteremo i loro fantastici vini. A partire da 360 Euro a persona ( in camera doppia o matrimoniale, con colazione inclusa). Noleggia due bici a 50 Euro al giorno. Gold (boutique hotels like Palazzo Giovanelli which hosted Mozart, facing the Grand Canal at 1090 Euros pp high season (May, June, July, August and September) 890 Euros pp in mid season (March, April, October, November and December) and 690 Euros pp in low season (January and February). Platinum ( luxury hotels like Suite 735 or La Residenza 818 ) at 1,390 Euros pp high season (May, June, July, August and September) 1,190 Euros pp in mid season (March, April, October, November and December) and 950 Euros pp in low season (January and February). Platinum Plus (luxury 5 star hotel) at 1990 Euro pp in high season, 1750 in mid season and 1450 in low season. 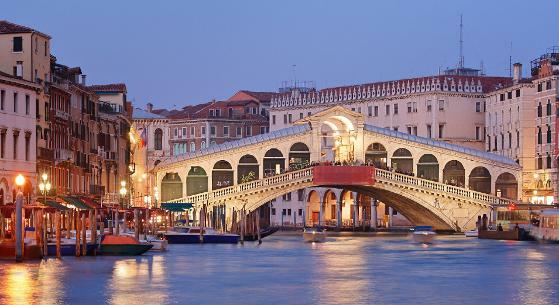 The price include three nights accomodation with breakfast, one dinner for two at Ristorante La Fenice, and two 3 hours walking tours or a 35 minutes private gondola ride !! 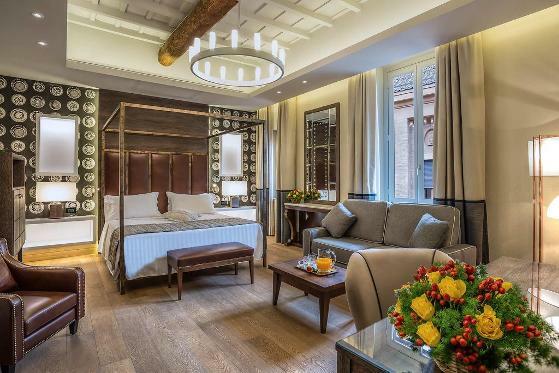 Gold (four star plus hotels like Il Focolare in Treviso which hosted John Grisham) at 790 Euros pp high season (May, June, July, August and September) 690 Euros pp in mid season (March, April, October, November and December) and 450 Euros pp in low season (January and February). Platinum (five star luxury hotels like Villa Condulmer) at at 1,150 Euros pp high season (May, June, July, August and September) 990 Euros pp in mid season (March, April, October, November and December) and 750 Euros pp in low season (January and February). The price include three nights accomodation with breakfast, one dinner for two as well as a full day Prosecco tour with a visit to two award winning wineries ! !